The Scopes Monkey Trial remains creationism vs. evolution's most famous court battle. Teacher John Scopes, defended by lawyer Clarence Darrow, faced politician William Jennings Bryan as prosecutor for violating a Tennessee Law forbidding the teaching of evolution. The story of the Scopes vs. the State of Tennessee trial, which occurred in July of 1925, is simple but very fascinating. I suppose we could also call the Scopes Monkey Trial highly memorable, as everyone involved in the creationism vs. evolution debate knows about it; however, it cannot in any way be said to be influential. If the trial had not taken place, everything would be exactly as it is now anyway. Perhaps its greatest effect was just what the city of Dayton, Tennessee was hoping for. It put Dayton on the map to this very day. Even as recently as 2001, National Geographic did a story on Dayton for its September issue. Note: Originally, I linked this act, but it was repealed in 1967. I have no idea why the link wasn't removed until after 2010, but here's the link to the repeal. The bill flew through the Tennessee legislature. The House approved it 71 to 5, and the Senate approved it 24 to 6. It was law on March 21, the day it was signed by governor Austin Peay. Like today, the ACLU was right on the ball. On May 4, a Chattanooga newspaper ran an article saying the American Civil Liberties Union was looking for a teacher who would challeng the law in the courts. Personally, I find a lot of ACLU positions so overboard as to be silly. The "separation of church and state" is not in the Constitution. What the First Amendment says is that "Congress shall make no law respecting an establishment of religion, or prohibiting the free exercise thereof." However, Rose Creek Village once considered the services of the ACLU when it appeared we would be denied status as a church school because we could not affirm that the earth was less than 10,000 years old. It is not just secular people preventing Christians from practicing their religion. Sometimes it's Christians stopping other Christians who don't agree on some doctrinal point. At the prompting of city leaders, who were hoping to build Dayton's economy [isn't there always a money trail? ], John Thomas Scopes—a football coach and substitute science teacher—answered the call. This was despite the fact that after the trial he said he's not certain he ever touched on evolution in a classroom. The importance of publicity in the Scopes Monkey Trial is evidenced by the fact that both sides had their lawyers picked before John Scopes was ever indicted. Former presidential candidate and avid anti-evolution activist William Jennings Bryan volunteered to handle the prosecution, despite the fact that he is not a Tennessee lawyer! 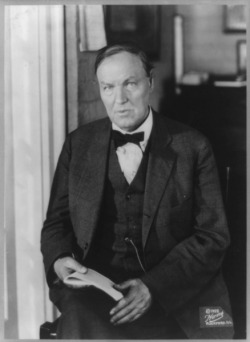 Clarence Darrow, the most famous defense attorney in the country, agreed to handle the defense. Note: Officially, the prosecution of the Scopes Monkey Trial was in the hands of Arthur Thomas Stewart, the attorney general and later a U.S. senator. The chief defense, officially, was John Randolph Neal. Neal later made it to the Tennessee Senate. Then, and only then, just 3 weeks after the Chattanooga article, was John Scopes indicted on May 25, 1925, for teaching that man descended from lower animals. The purpose of the Scopes Monkey Trial was clearly publicity and media attention. The actual trial began on July 13, 1925 with Clarence Darrow arguing that the Tennessee law was unconstitutional, violating freedom of religion. Darrow also objected that each day opened with prayer. Raulston overruled this objection, too, saying that the prayers did not address any issues involved in the case. On the fifth day of the trial, the day after zoologist Maynard Metcalf testified, the prosecution asked for all expert testimony to be barred. Judge Raulston concurred, agreeing that expert testimony had nothing to do with whether John Scopes violated the Tennessee law against teaching evolution. Note, however, that the banning of expert testimony did not stop such testimony from being entered into the transcript of the trial. Many pages of arguments for and against literal Bible interpretion are included in the transcripts. 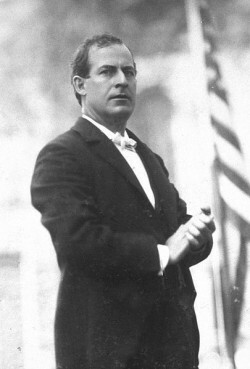 On July 20, a week after the trial opened, Clarence Darrow, in a surprise move, put William Jennings Bryan on the stand. Surprisingly, immediately beforehand, the judge approved a Clarence Darrow motion to have a large sign promoting Bible reading to be pulled down. I have to deviate from merely reporting the facts here and get personal. In preparation for this page, I purchased a transcript of the Scopes Monkey Trial. I then read the interrogation of William Jennings Bryan, which is perhaps the most important exchange in the trial. I have to admit I laughed out loud numerous times in reading it. I have made a separate page to catch the dripping sarcasm of both Darrow and Bryan in the exchange. Suffice it to say here that Clarence Darrow and William Jennings Bryan engaged in a very emotional and somewhat insulting creationism vs. evolution debate for about two hours. The attorney general, Arthur Stewart, tried to get it stopped several times, but Judge Raulston refused due to the fact that Bryan wanted to be on the stand. The next day, however, even Judge Raulston was fed up. He forbad further questioning of William Jennings Bryan, ordered the previous day's testimony to be expunged, and moved the trial on. Much of what was introduced during the Scopes Monkey Trial was for the purpose of questioning the Tennessee anti-evolution law upon appeal. Attorney General Stewart accuses the defense of this numerous times. Further, despite the judge's barring of expert testimony, the transcript of the trial has tens of pages of arguments for and against the literalness of the Bible. Clarence Darrow and his companions, sponsored by the American Civil Liberties Union, wanted the anti-evolution law overturned. Thus, once Judge Raulston forbad further questioning of William Jennings Bryan, Clarence Darrow asked the court to bring the jury in and find John Scopes guilty! Don't forget, Darrow was a defense attorney! Asking for a guilty verdict! No one cared to find John Scopes innocent. He volunteered to break the anti-evolution law and bring it, not himself, to trial. Amazingly enough, once Scopes was found guilty, not only did the ACLU offer to pay his $100 fine, but so did William Jennings Bryan!!! The defense team was stymied in appeals court. The Tennessee Supreme Court upheld the constitutionality of the Tennessee Law. 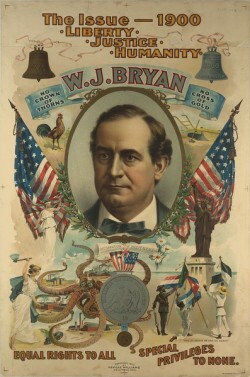 William Jennings Bryan died in his sleep just 5 days after the Scopes Monkey Trial. The court did remove Scopes' fine because all fines over $50 had to be imposed by a jury, while it was Judge Raulston who issued the sentence of a $100 fine at the end of the Scopes Monkey Trial. That was the end, and the Tennessee anti-evolution law was not repealed until 1967, just one year before the United States Supreme Court declared all such laws a violation of the first amendment. I dare to say that the Scopes Monkey Trial had no effect at all on the evolution-creation debate. It was more a circus side-show than an influential event. The Tennessee anti-evolution law was never really put on trial. Scopes was found guilty, and then his fine was dismissed on appeal. The law itself was upheld as constitutional, but the media circus ensured that no one would try to enforce it again. It would be 42 years before Tennessee bothered to repeal it, and it was an Arkansas law that prompted the Supreme Court to declare such laws unconstitutional. In 1973, Tennessee tried again, introducing a law requiring that the teaching of the Genesis account be given equal time with evolution. The Supreme Court shot it down two years later. Of much more import are more modern attempts to legislate the teaching of young earth creationism or intelligent design alongside evolution in public schools. Is that decision fair? Is Intelligent Design inherently religious? Would you like to make your own contribution to the creation vs. evolution debate? "In any case if the Darwinian hypothesis should irritate any one it should only be the monkey. The monkey is an innocent animal- a vegetarian by birth. He has never placed God on a cross, knows nothing of the art of war, does not practice the lynch law and never dreams of assassinating his fellow beings. The day when science definitely recognizes him as the father of the human race the monkey will have no occasion to be proud of his descendants. That is why it must be concluded that the American Association which is prosecuting the teacher of evolution can be no other than the Society for Prevention of Cruelty to Animals."